Thanks to Double Robotics’ iPad-on-wheels – otherwise known as ‘Double’ – such a scenario could one day become a reality. Double, which its maker claims offers the “most elegant way to be somewhere else in the world without flying there,” comprises a pair of wheels, a battery-powered motor, an adjustable pole and an iPad holder. 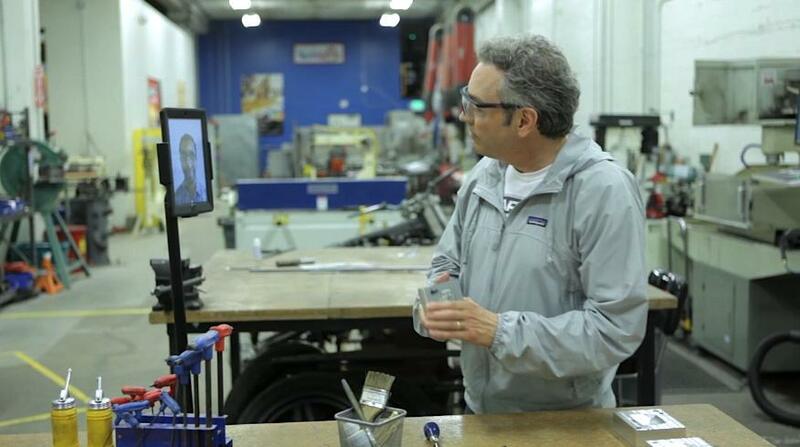 The telepresence robot is controlled remotely by someone using Double’s app on another iPad. The app enables the operator to move Double around its location, with its minimalist design helping to ensure it doesn’t get in the way of ‘real’ on-site workers. The length of the pole can also be adjusted using the app, allowing its user to talk face-to-face with co-workers, or peer over partitions to see what others are up to when they think no one’s looking. Weighing a delicate 15 pounds (7 kg), there’s little chance of Double causing any damage to furniture, or humans for that matter, should its operator fail to see upcoming obstacles. The California-based firm behind Double believes its creation offers a unique teleconferencing experience, allowing you to move around a location freely, meeting co-workers in any location, although presumably the bathroom will be off-limits. 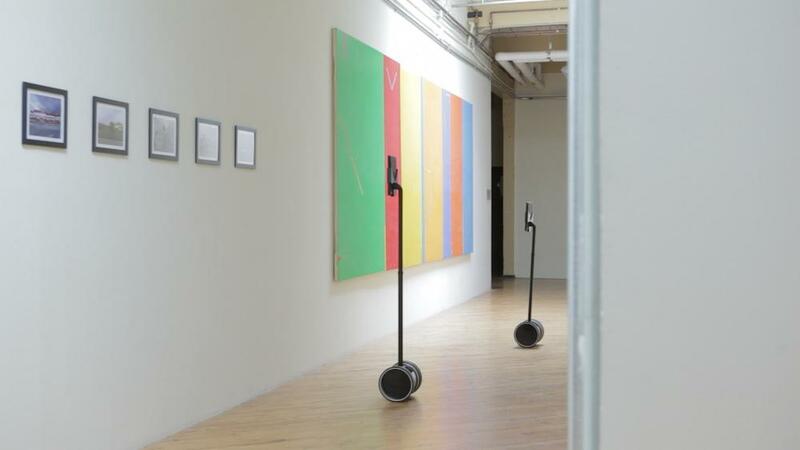 Double Robotics suggest its robot could be used by companies who regularly communicate with remote workers, as well as school campuses, “enabling potential students to walk the halls and talk to professors.” Museums and galleries could also use Double, offering tours to those too far away to visit in person. While some may consider Double to be an unnecessary luxury, the museum/gallery idea is certainly an appealing one, where anyone on the planet could work their way around such places using simply an iPad and an app. Of course, there are already a number of telepresence robots like this in existence, but what makes this one stand out is its reasonable price – $2,499, or just $1,999 if pre-ordered – iPad not included. The firm is set to ship its first batch this December, with orders placed from this week going out early in 2013. Take a look at the slick promo video below to see Double in action. Would you like to see one of these rolling about your workplace?